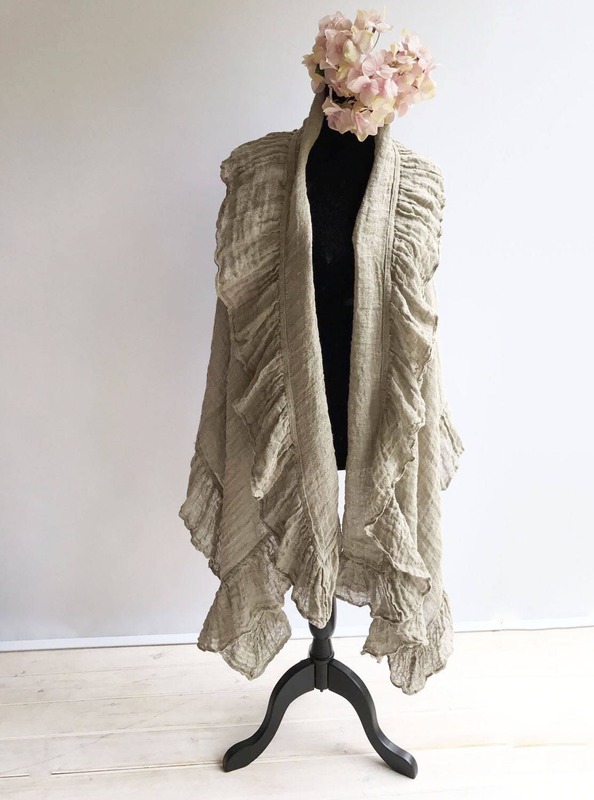 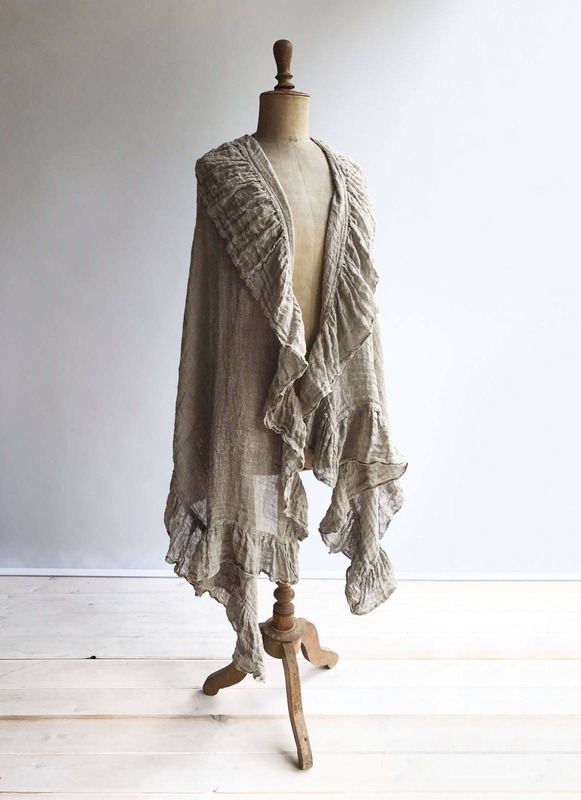 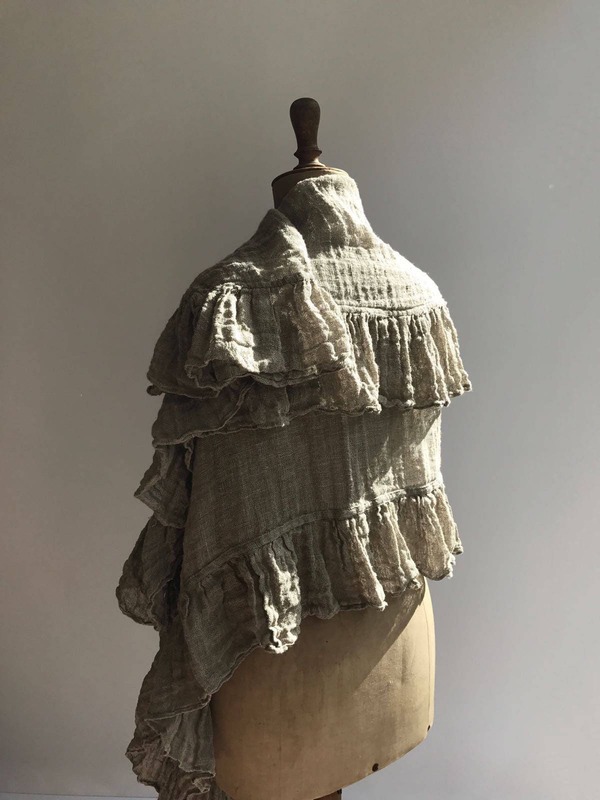 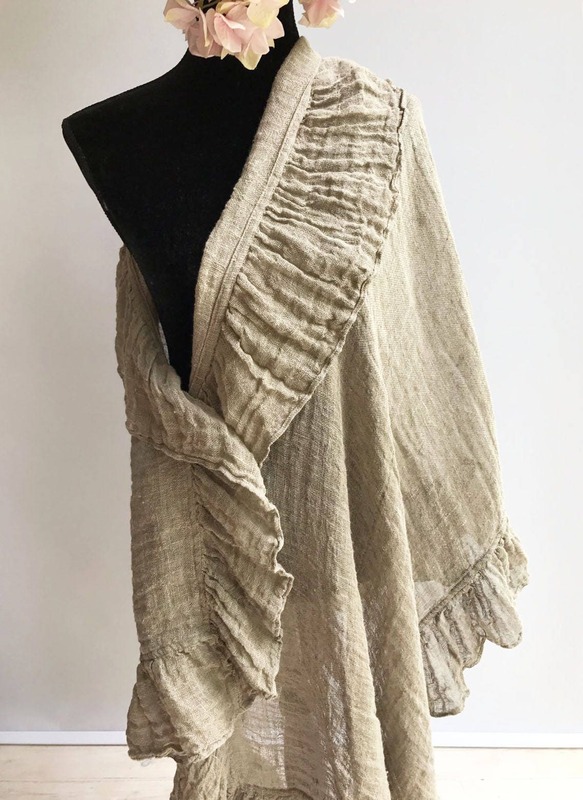 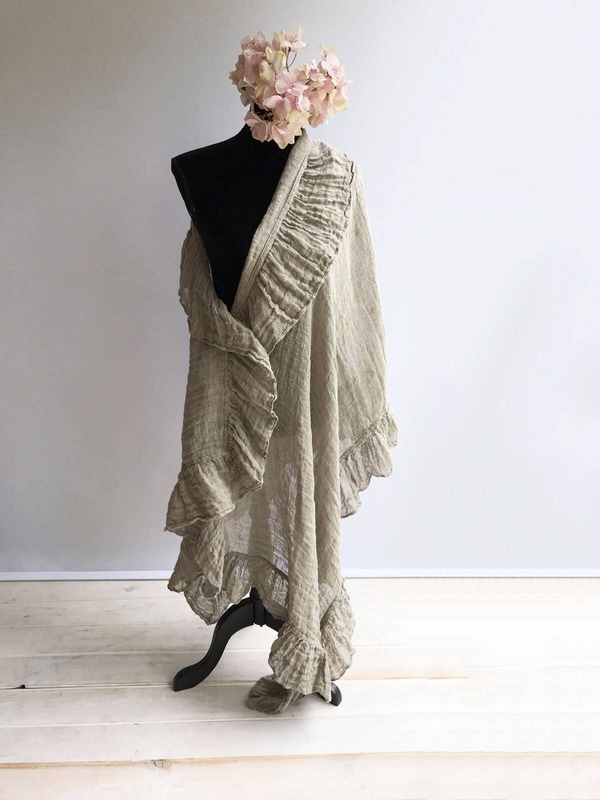 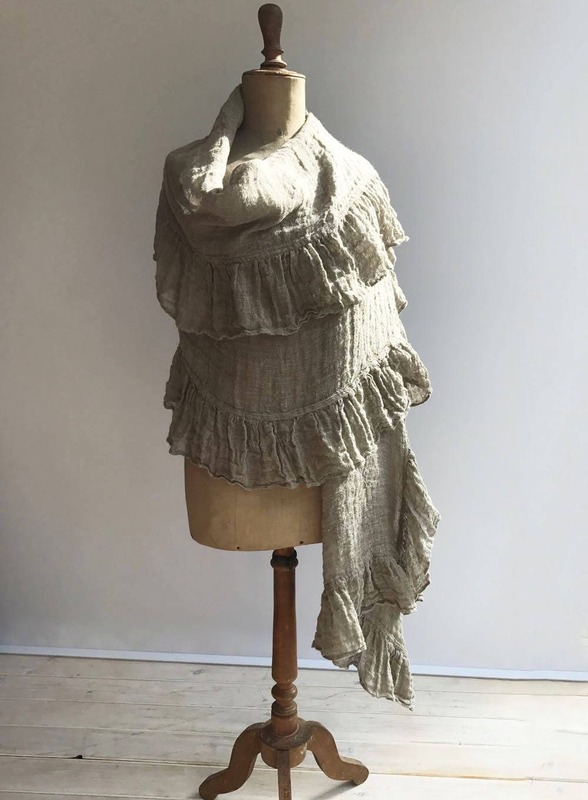 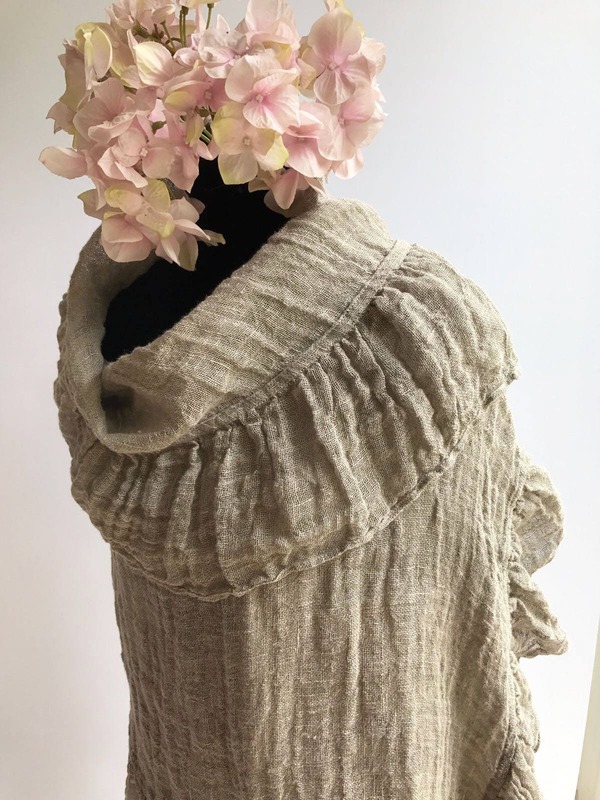 This is a fantastic, generously sized linen shawl with an elegant ruffle along all sides. 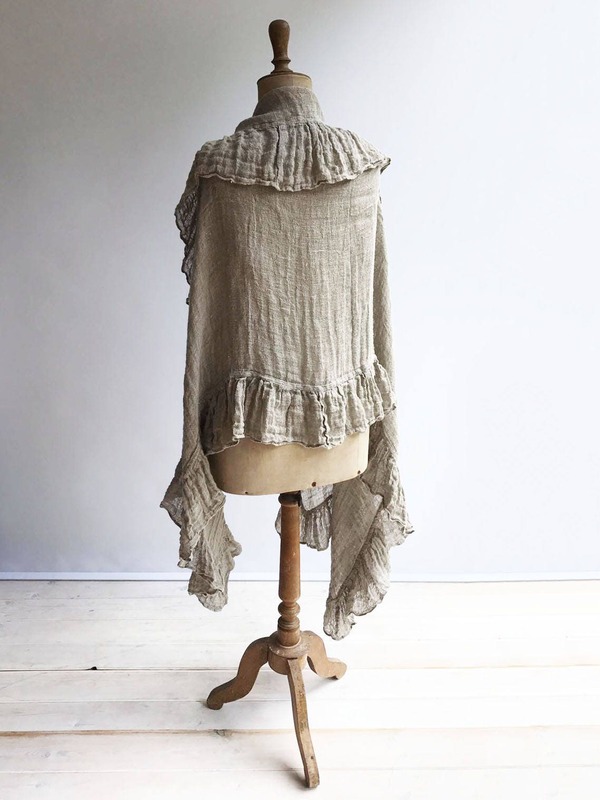 Made from gauzy, 100% pure natural taupe linen. 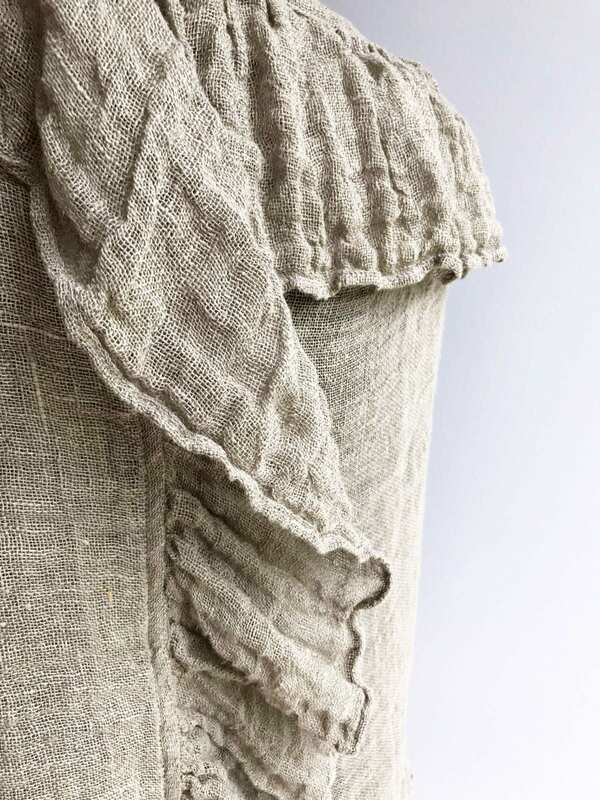 Gorgeous texture and distinct wrinkling. 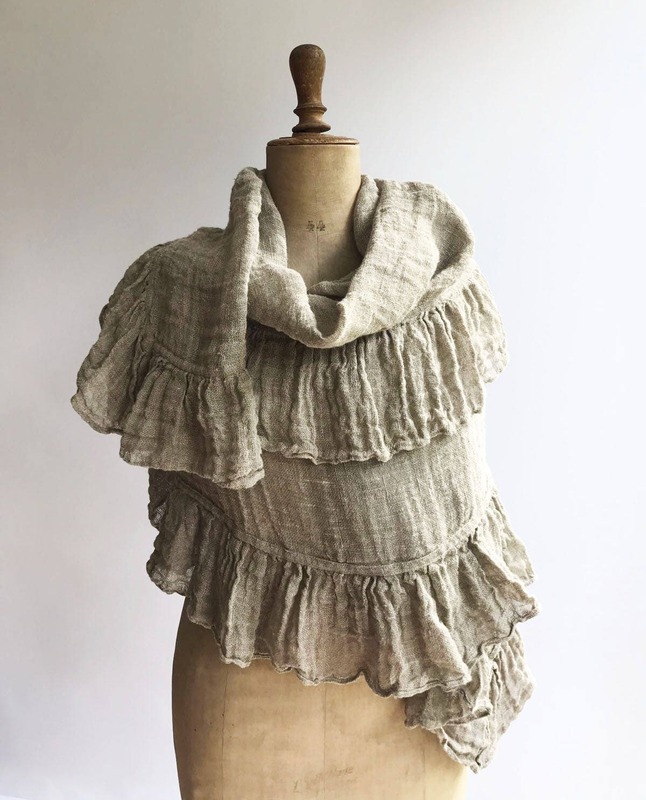 Rustic texture combined with feminine styling.